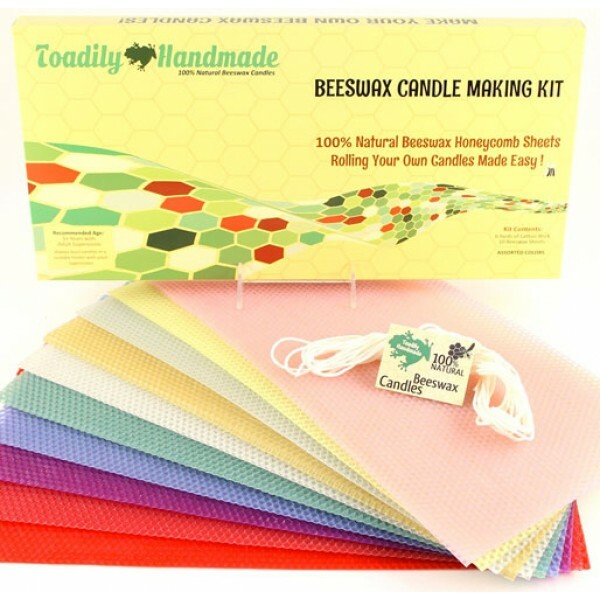 One of Toadily Handmade Beeswax Candles' best sellers, this "roll your own candle" kit has 10 beeswax honeycomb sheets in a beautiful array of colors -- ivory, natural, pink, red, cranberry, blue, green, yellow, purple, and aqua. Instructions and 6 yards of cotton wick are included, enough to make 20 taper candles measuring 8" x 1". If you love beeswax candles, you will enjoy making them as well!